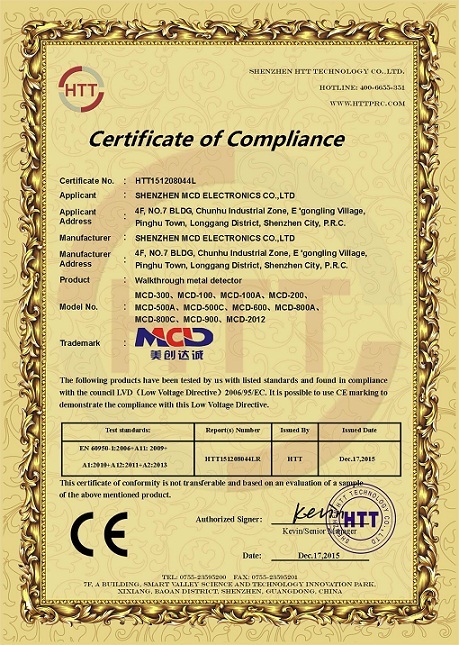 Company Overview - Shenzhen MCD Electronics Co., Ltd.
9YRSShenzhen MCD Electronics Co., Ltd.
Shenzhen MCD Electronics Co.,Ltd is a professional large-scale manufacturer of all kinds of security equipment, integratingdevelopment and production together. 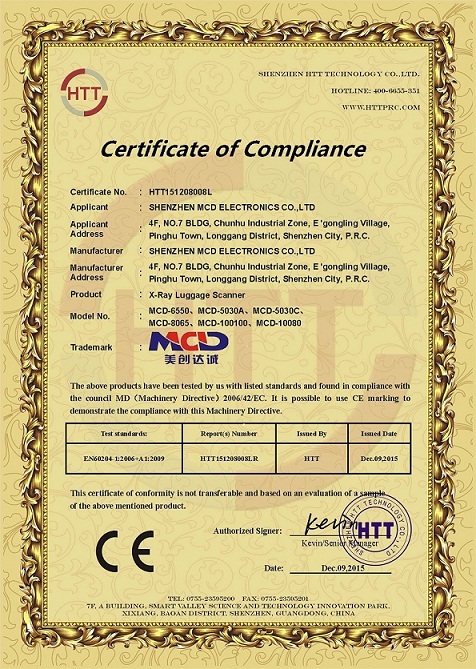 Our main products include x ray baggage scanner, hand held metal detector, walk through metal detector, under vehicle search system, food metal detector and other related products. 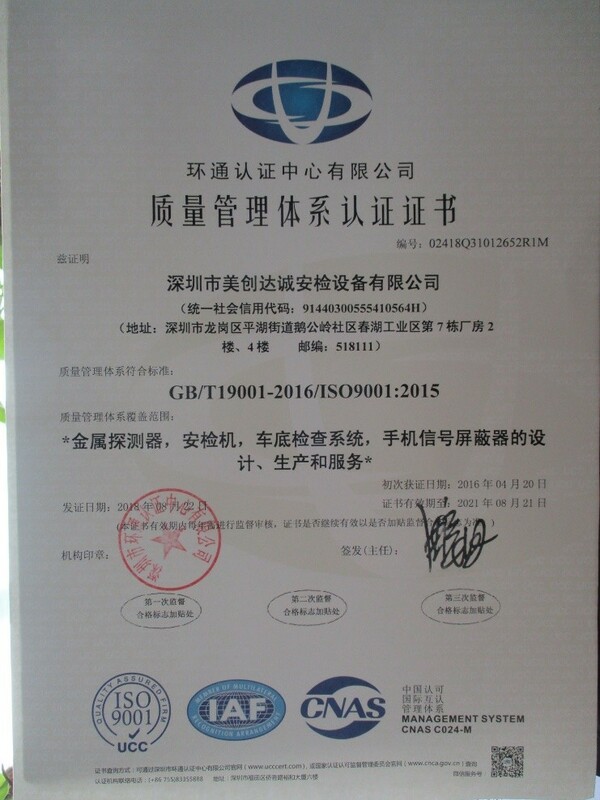 Established in 2005, our company have been supplying professional security products and service fro worldwide clients.Strictly according to the international standard of ISO9001, we work up a set of quality management system to control each process and provide the best quality products and service. 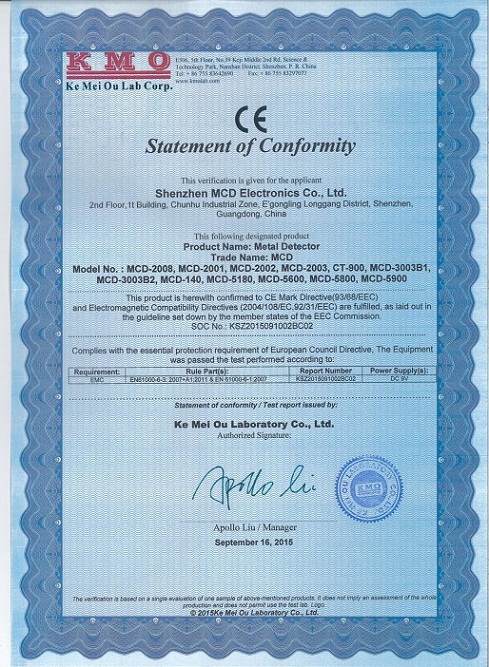 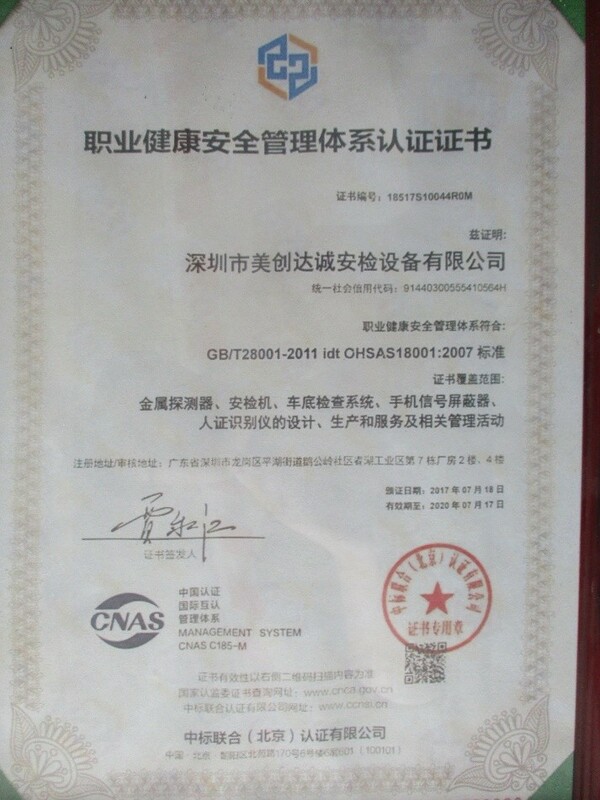 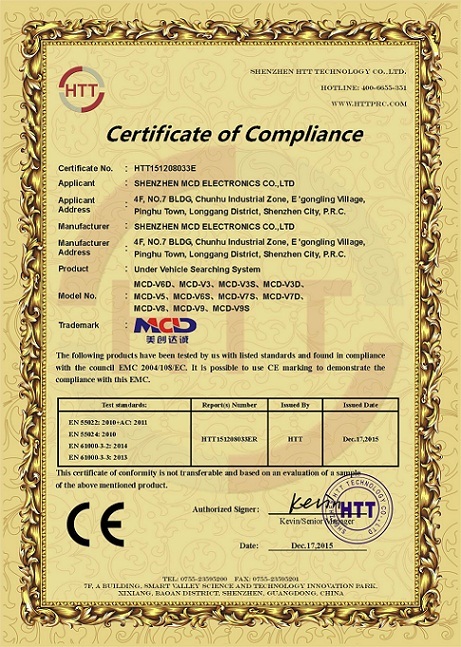 All of our products also have CE certificate.Under the effort of all our staffs, we have developed branch offices in Beijing, Guangzhou, Shenzhen, Xinjiang etc, and have established many qualified agents in different areas around the world to be responsible for the after-sales service.MCD will initiate the second phase of our development strategy.our company regards"reasonable prices,efficient production time and good after-sales service"as our tenet.we hope to cooperate with more customers for mutual development and benefits.More about our company or products, sincerely welcome to contact us!